MIAMI -- An 11-year-old boy died after collapsing while warming up for track practice at a Miami school. 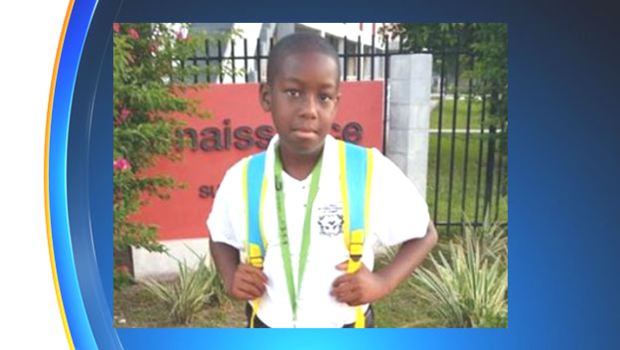 The boy’s family identified him as Kaleb Harris, a student at Florida International Academy in Opa-locka, Florida, CBS Miami reports. Parents and children involved in the charter school’s after-school track program at Northwestern Senior High were at the track when the Harris suddenly collapsed. Miami-Dade Schools Superintendent Alberto Carvalho expressed his sympathy for the family when he heard what had happened. Harris’ cousin, India Jackson, said Kaleb was an exceptional child who had big hopes and dreams. Jackson added that Kaleb always strove to do his best and often exceeded what was expected of him.